Smokey Mountain Lacquers - Naughty Collection - Polish Etc. McPolish here! And I have come swatches to share with you all. I found Smokey Mountain Lacquers on Instagram last fall when Kim first opened shop. I was very pleased with my first purchases from her. So when Kim was looking for swatchers, I jumped on the opportunity. So here is the most recent addition to the family, The Naughty Collection. This trio of polishes is perfect for Valentine's Day. First, we have Afterglow. This is a soft, white crelly polish with a subtle pinkish/purple shimmer. I used three coats in this swatch for full opacity along with a top coat. I really like the softness of this white! It was not too stark and the shimmer gave it a little extra something. 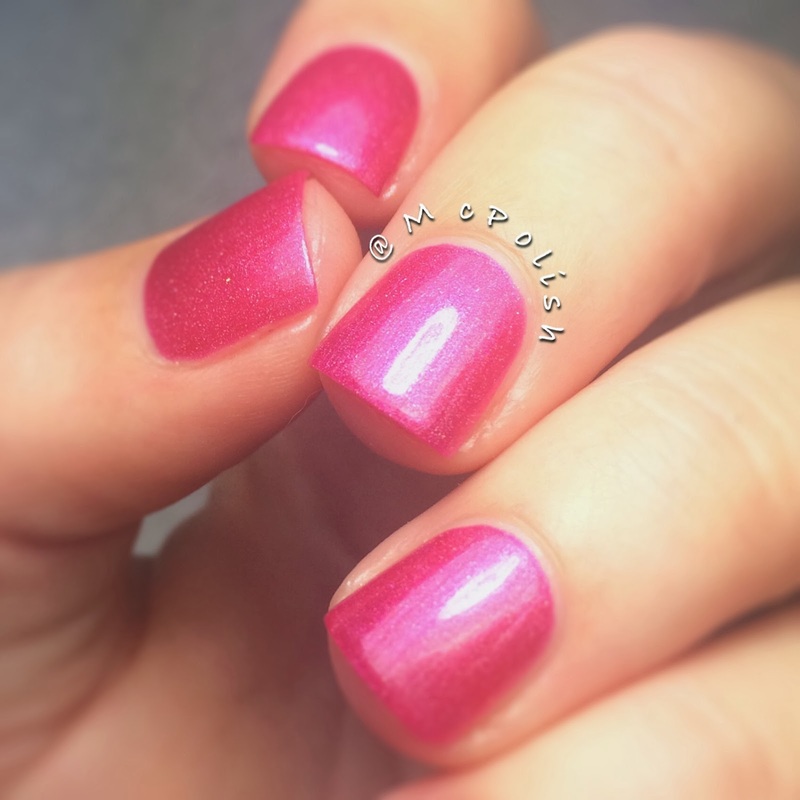 Next up is That's the Spot, a raspberry/fuchsia polish is a mild holographic shimmer. This is not a strong, in your face holo but it gives it just enough to be special and stand out from your classic shimmers. I wore with all day and got several compliments. 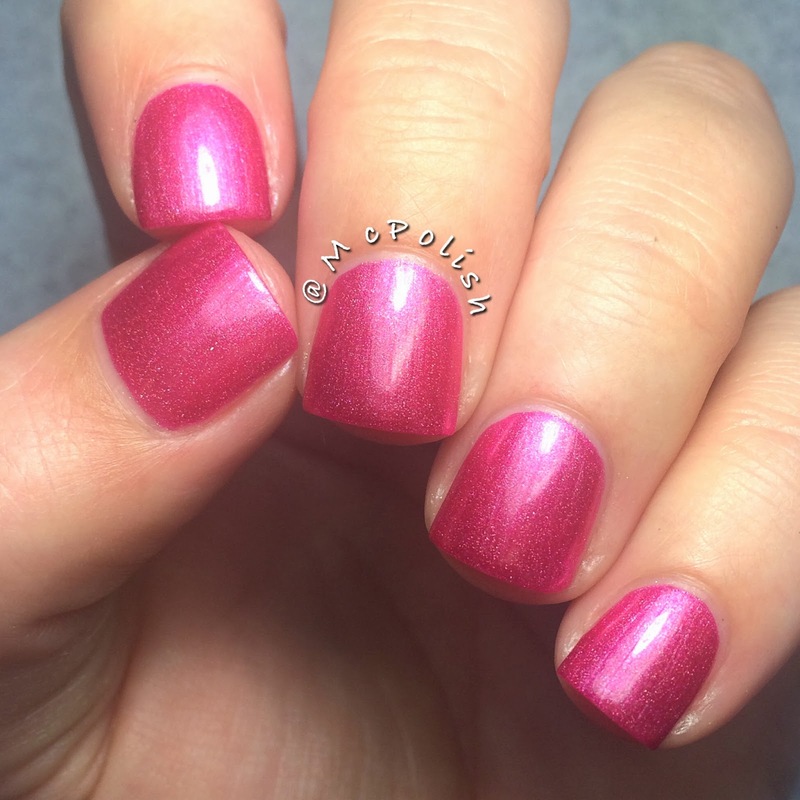 In this swatch I used two semi-thick coats with a top coat. Lastly, we have Make Me Blush. This was my favorite out of the trio. Make Me Blush is a soft pink shimmer with darker, hot pink flakes. The flakes were very small, more like flecks really. 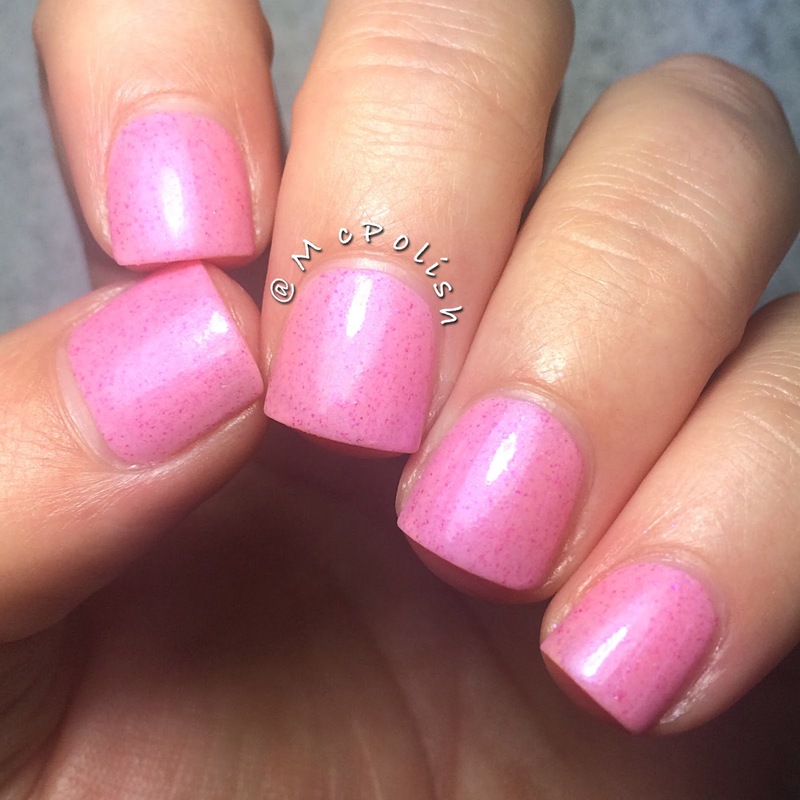 I am not much of a pink polish girl, but this is my kind of pink polish! Just beautiful. I used to easy coats and a top coat in this swatch. You can purchase this entire collection for $25.65 or each polish separately from both the Smokey Mountain Lacquers site and Etsy shop.